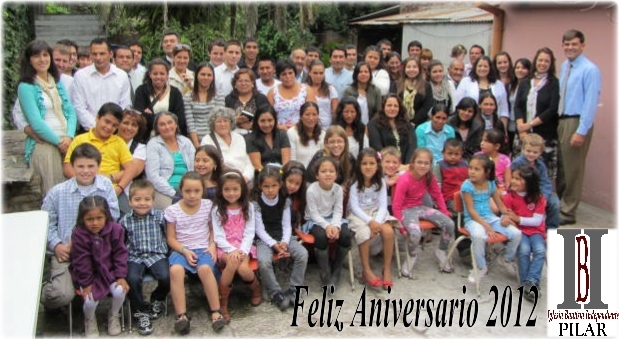 Happy 2nd anniversary to Iglesia Bautista Independiente del Pilar! Our hearts are overwhelmed as we reflect on God’s goodness in the life of this church body. Every face you see here represents a life that has been changed in some way by God’s amazing grace. Watch a video summary here. The Lord blessed our special anniversary services with about 25 visitors among the three days. Our people invited friends, family, and co-workers. They made phone calls, passed out invitations to strangers, and certainly did their part. Though we saw no immediate fruit in the way of salvation decisions, we did see God work through the preaching of His Word. One of the highlights of the weekend was the two new believers James baptized. Delia was saved in our church just over a year ago, while Jaime was saved a few years ago while still living in Peru. They were both discipled and then married in our church as well. 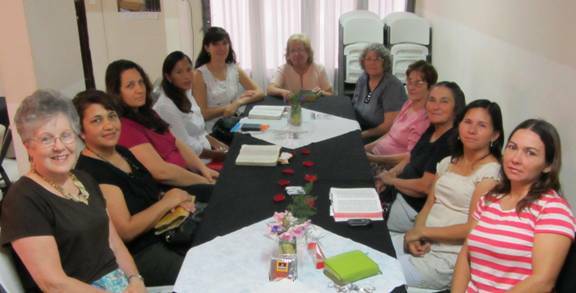 They finished the new members’ class last week and then followed the Lord in believer’s baptism. Several weeks ago, Pastor Schmidt (our furlough replacement missionary) began to invite the men of the church to come to the Sunday morning service early in order to pray for souls to be saved and the church to grow. (It’s one thing to ask a Latin to be on time, but arrive early?!?) Well, the first Sunday there were nine men, and then it grew to 16, and then 28 men! This past Sunday they finished praying and began the service. Two first-time visitors, a couple, came in and sat down. At the time of the invitation, the lady trusted Christ! They later said that they had been walking around town that very morning looking for a church. They found nothing, so were on their way back to the bus station when they passed our building and heard the congregation singing hymns. It’s times like this when you know it’s all God’s work, and we just need to remain faithful. Jaime grew up as an orphan on the streets of Peru, got saved at 18 years old through some folks witnessing on the street corner, and God continued to bring Christians in his life along the way. He and Delia moved to Argentina to look for work. They were unchurched, but God was working in Jaime’s heart. One night he was scrolling through radio stations and came across Bible Broadcasting Network (BBN). He began to listen every single night, and God placed a desire in his heart to look for a church with the same teaching. That’s when they “stumbled” upon our church. They didn’t even realize until they finally took the time to read through our welcome packet later in the week that we are a supporter of BBN and vice versa. That was the deal maker for them! 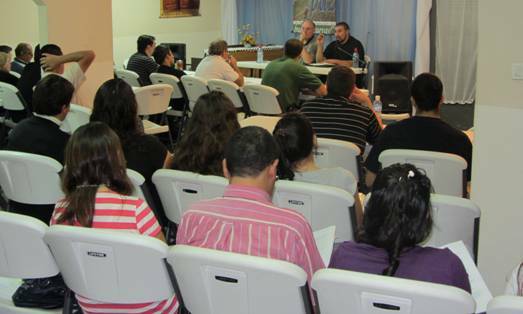 Since February, they have continued to attend church faithfully, bringing new visitors all the time! 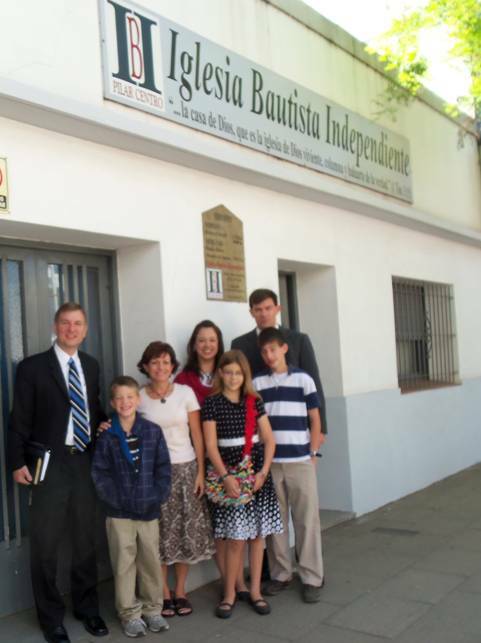 They have led several of their family members and neighbors to the Lord! 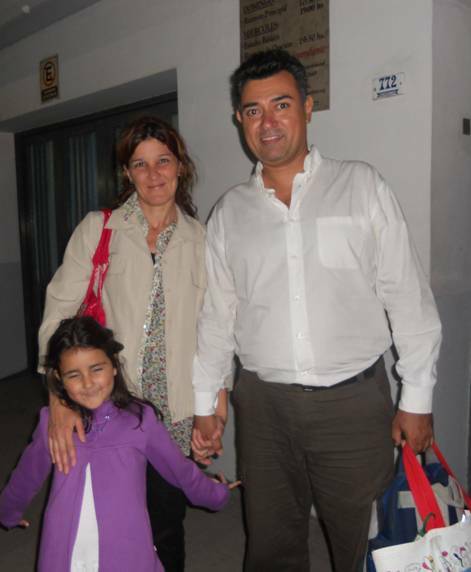 Even today, they brought a neighbor, Daniel, who was just released from prison, and his wife, Luisa. Apparently Daniel got saved while in jail. However, today was the day the angels were to rejoice over Luisa’s decision to trust Christ as her Savior! One important and essential component in Jaime and Delia’s phenomenal spiritual growth is discipleship. Church members Ramon and Liliana meet with them weekly to study Basics for Believers. They even invite people to their home to participate in the study! 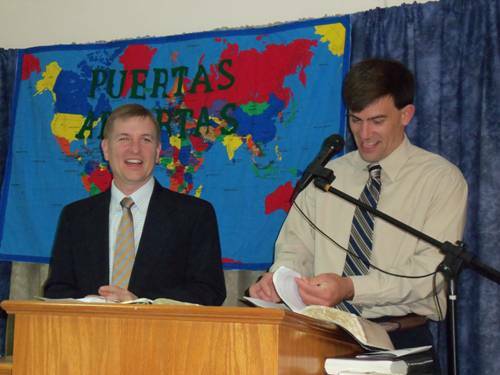 This is the JOY in missions and ministry!